The easiest way to notify, connect, and resolve patient balances. 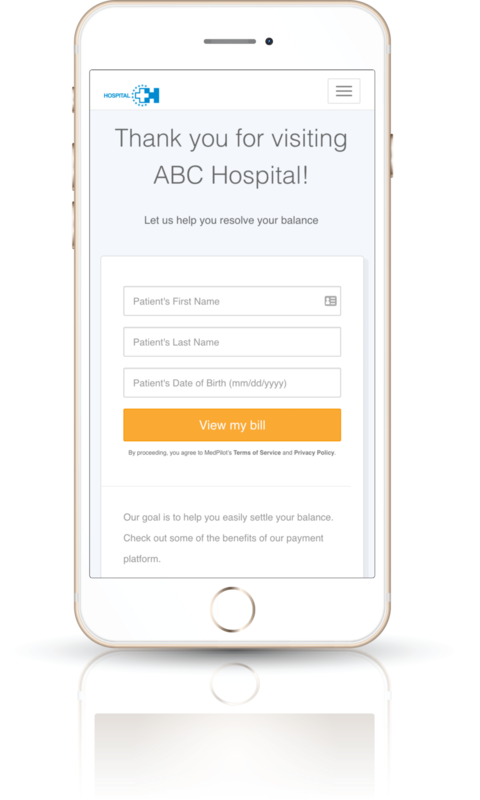 An easy-to-use payment platform with simple verification that helps patients understand what they owe and why. Our post-payment surveys also provide our clients with valuable feedback on the patient experience. Patients receive guidance from both our support team and digital help center. When necessary, data is passed to other departments to seamlessly complete tasks like insurance verification, rebilling, and payment validation. No app needed since MedPilot Pay is all web-based. 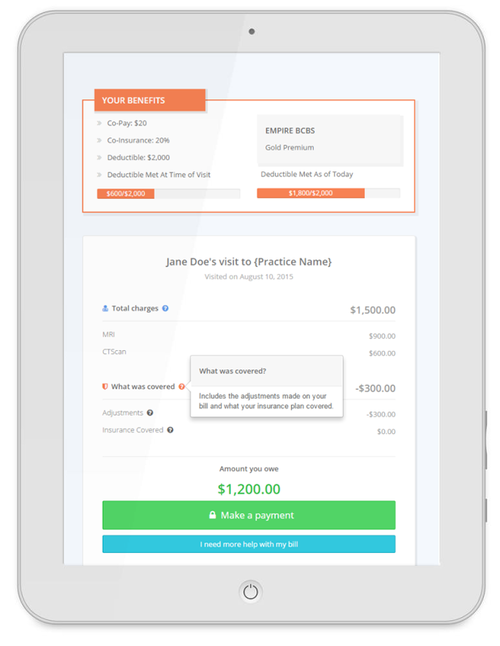 MedBoost keeps patients engaged from appointment reminders all the way through the payment process. MedPilot uses patient demographic data and payment history information from the practice management system to categorize accounts in order to tailor content, frequency, and message medium, boosting engagement rates and patient satisfaction. On the backend, frequent AB and multivariate testing are used to optimize engagement and payment rates. We don’t just collect payments, we track every action the patient takes on our platform in order to better inform our approach. Our dashboard is the hub for information and analytics coming from patient engagement, payments, and the help center. We leverage all the valuable information and analytics to generate tailored re engagement campaigns and surveys.